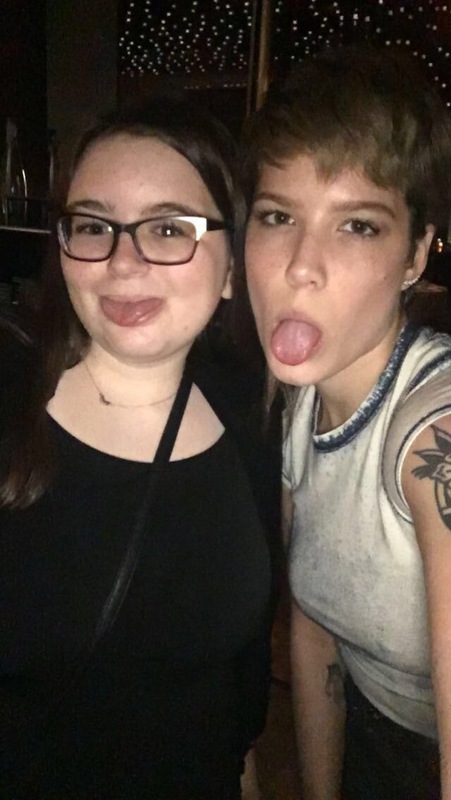 Hey, so in case you missed it, I had dinner with Halsey. She was super nice and we talked for about 2 hours. We both had pasta and we talked about everything from books to twitter drama. 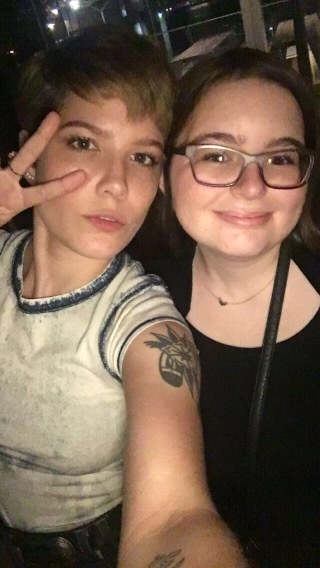 My parents had told me that I was going to a publishing dinner, so I was really excited for that and when it was supposed to start, Halsey was standing there. It took a few seconds before I realized it was her and it took about 10 minutes before it started feeling real. She said her next album will have a bunch of mythology references and especially ones to Icarus. She relates a lot to him and she feels like she’s flying too close to the sun. She used to host parties at her Cali house and invite a lot of people because she wanted to make friends, but she’d usually leave in the middle because she wasn’t having fun. She mentioned that “sitting at the bottom of the swimming pool” in Young God is a Percy Jackson reference. The first thing she did after signing with her label was buy the Spider-Man comic where Gwen dies. When she was a teenager, comic stores would always tell her she couldn’t afford it and she proved them wrong. She also brought up the fact that she’s friends with Jared Leto. When she was about 15, she saved up money to get her hair dyed and her mom brought her into NYC to get it done, but it ended up turning bright yellow, not blonde. I recommended books to her and she gave me some recommendations too. She said she’ll make me a list of them. She remembers the book of messages I gave her in Philly and said that it’s at her mom’s house. I listened to 2 upcoming songs, both of which were amazing. She told me not to say the names, but one was poppy and it’s the first time she has specifically talked about a girl in a song. The other was more Room 93ish. She’s in Japan currently. It’s her first time going just for fun and it’s also her first time traveling alone. We had dinner in New York City though. THIS IS AMAZING!! It’s so great when the public figures we love turn out to be charming and lovely.